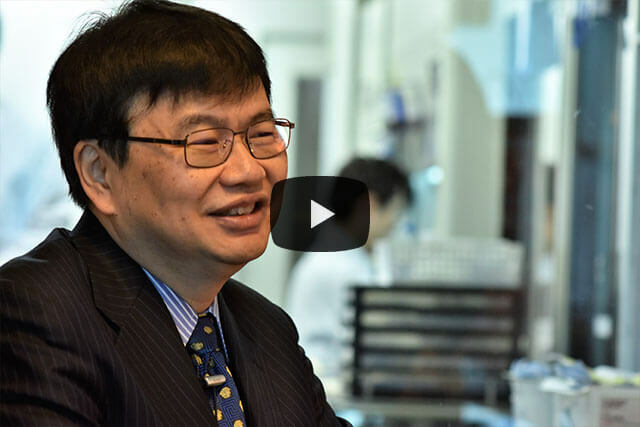 Short video where Professor Hideyuki Okano describes the activities of the Longevity Cluster at KGRI. 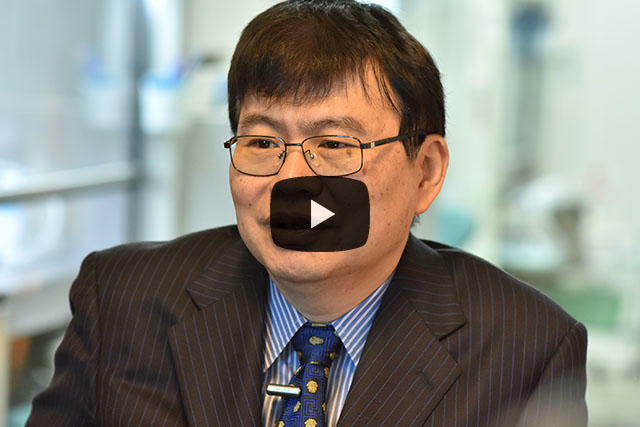 Short video about the research activities of Professor Hideyuki Okano's group. Hideyuki Okano, Professor, Department of Physiology, Keio University School of Medicine. Professor Hideyuki Okano is the leader of the KGRI Longevity Cluster that is part of the Top Global University project. The research is being carried out in the three research clusters of Longevity, Security, and Creativity. The activities of the Longevity Cluster are interdisciplinary with research focused on elucidating mechanisms of longevity and related diseases to achieve healthy longevity. 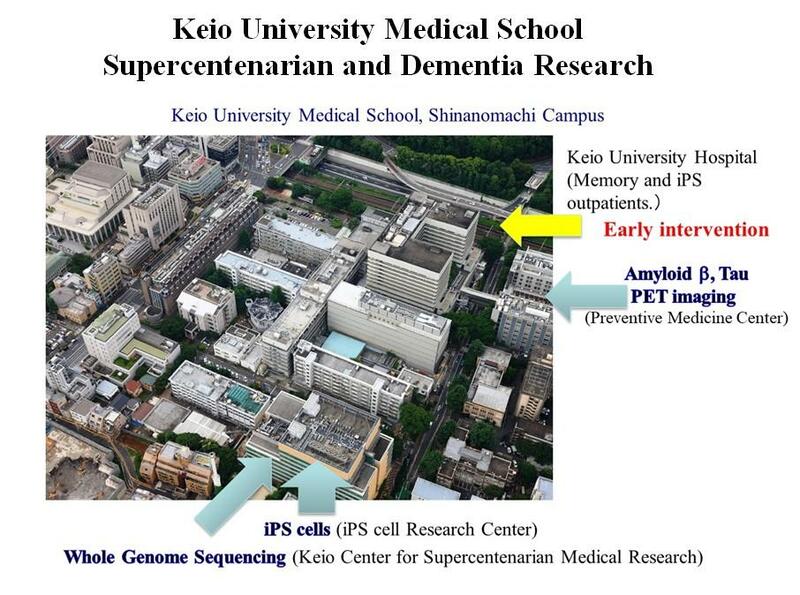 Professor Okano is using iPS cell technology to study the onset of dementia as well as developing basic therapeutic drugs to overcome this and related diseases. In other research, Professor Okano and colleagues are studying people over the age of 100--so called centenarian studies. Furthermore, researchers from other fields are looking into how the results of this research should be reflected in social policies. "We want to lead society in coping with longevity to achieve a healthy, longevity society," says Professor Okano. Please contact the KGRI for further information about this research. Professor Hideyuki Okano, Professor, Department of Physiology, Keio University School of Medicine. Regenerative medicine is a broad term used to describe approaches to repair or replace damaged or diseased human cells or tissues. This can be achieved through a variety of approaches, including the use of stem cells and stimulating the body's own repair mechanisms. Due to its wide implications in science, technology and ethics, regenerative medicine has attracted the attention of a multitude of 'stakeholders' from scientists and physicians to those involved in ethical, legal and social implications (ELSI). In a recent review, Douglas Sipp from the Keio University School of Medicine in Tokyo, Japan, and his colleagues from the University of British Columbia, McGill University, the University of Miami, the California Institute of Regenerative Medicine, the University of Alberta, the University of Montreal, the University of Ottawa and the University of Regina, give an overview of past initiatives relating to social, ethical and legal aspects of regenerative medicine and offer their view on future priorities. Even countries that have shown leadership and have established policies, such as Canada, are now facing a shift in the landscape of regenerative medicine due to fast scientific advances such as those relating to induced pluripotent stem cells (iPSCs) and targeted genome editing using novel techniques such as CRISPR/Cas9. A key aspect for the advancement of the field is collaboration between scientists and and those within the ELSI community. Training of both sides to collaborate is being explored in Canada, which is looking to launch a training series to familiarise social scientists with the laboratory workflow and laboratory-based scientist with the problems facing those who deal with ethical and social aspects of the field. The authors also suggest adding experts from these different disciplines to grant applications. Fast scientific advancements in the field have left many laws and policies as being outdated. Hence, the authors call for leaders in the international regenerative medicine community, such as the International Society for Stem Cell Research, to look at existing policies and consider reforming them to keep-up with the rapid technological advances that are taking place. In the age of social media, the perception of regenerative medicine and the questions it raises are easily communicated to the public, but in some cases, can also be distorted. Therefore, the authors suggest "the ELSI community can and should play a role both by studying the impact of these new modes of popular media and engaging directly with the broader public and patient communities through participation in virtual communities and networks." Authors: Judy Illes1, Douglas Sipp2,3,4, Erika Kleiderman5, Shelly Benjaminy6, Rosario Isasi7, Geoff Lomax8, Zubin Master9, Jennifer McCormick10, Ubaka Ogbogu11, Vardit Ravitsky12, Julie M. Robillard1, Fabio Rossi13, Brenda Wilson14 and Amy Zarzeczny15. Title: A blueprint for the next generation of ELSI research, training, and outreach in regenerative medicine. Key terms in the field of regenerative medicine.